SANTA CLARA, Calif., Nov 27, 2018 (SEND2PRESS NEWSWIRE) -- SecuGen, the world leading optical fingerprint device and technology vendor, is pleased to announce that they will be showcasing the U10 optical fingerprint sensor, at the 2019 Consumer Electronics Show in Las Vegas. At less than 13 millimeters thin, the U10 fingerprint sensor module is the world's smallest FBI certified FAP 10 optical fingerprint sensor. The U10 is the same sensor that is used inside of SecuGen's newly-released Hamster Pro 10 fingerprint reader. The U10 module is designed to be easily embedded into nearly any type of hardware device to increase security and authenticate users, such as mobile handheld devices, ATMs, point of sale hardware, access control devices, laptops, portable equipment, and many other types of products where space is limited. SecuGen's U10 sensor is certified by the FBI for meeting the high image quality standards required by the FIPS 201 PIV program and Mobile ID FAP 10. This fingerprint reader is ruggedly designed with an optical glass platen that resists scratching and is easy to integrate using SecuGen's full suite of free software developer kits for Window, Android and Linux. As with all SecuGen products, the U10 is well-priced for mass deployments. Jeff Brown, VP of Sales and Marketing for SecuGen stated, "Our OEM customers have long requested that we make a thinner sensor. Our engineers were able to make some remarkable breakthroughs. The U10 is the thinnest FBI certified optical fingerprint sensor module in the world today. This makes it, from both a size and quality prospective, ideal for integration into a wide variety of products. We already are working with ATM, POS and handheld vendors." "We are very excited about this product. Our engineering team has hit it out of the park with this new sensor," Dan Riley, VP of Engineering stated. 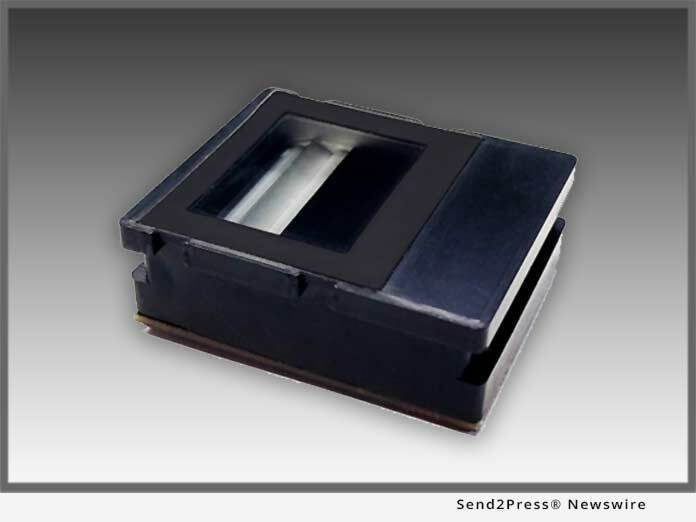 "They were able to design a FAP 10 optical sensor that appears to be the smallest in the industry. This was accomplished without sacrificing quality which was no small feat. We are very proud of the result." "We continue to expand and enhance our product line in response to the wishes of our partners," added Won Lee, CEO of SecuGen. "Our strategy is, and has always been, to innovate, design, and deliver products that can help our partners succeed in the marketplace. We are always listening very carefully to what they have to say. The U10 continues this focus." The U10 fingerprint sensor will be on display in SecuGen's booth # 35232 in South Hall of the Las Vegas Convention Center for the 2019 CES exhibition, from Tuesday January 8 to Friday January 11, 2019. SecuGen Corporation (www.secugen.com) is the world's leading provider of advanced, optical fingerprint recognition technology, products, tools and platforms for physical and information security. SecuGen designs and develops FBI-certified fingerprint readers and OEM components, developer kits and software, including NIST/MINEX-compliant algorithms. For over 20 years, SecuGen has been a driving force committed to delivering high quality, innovative, rugged, and price-performing products for a wide variety of applications such as insurance and banking, medical and health care, point of sale, logical and physical access control, mobile devices, AFIS and law enforcement, national ID, voter registration, SIM card authentication, fleet management, and many more.